Turning 18 and being college-bound is an exciting time for students and their families. It is a time of big decisions that can affect a lifetime, such as financing the college education. Rising student loan debt is a hot headline in the news and on the campaign trail and no wonder. Total student loan debt in the United States is around $1.3 trillion and $350 billion of that belongs to people who are 50 years old or more! Higher education is the traditional path to higher paying employment, a gamble most people are willing to take. Many borrowers and their families fail to consider the hidden downside. What happens to the debt if the student is unable to repay the loan due to an early death? It all depends on the kind of student loan and the lender. 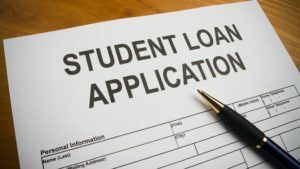 If the loan is under the federal student loan program, the unpaid debt is generally discharged at the death of the student. This means that after receiving the required notification the debt is forgiven and no claim is made against the student’s estate or against the student’s family. The more common and unfortunate scenario involves private student loans. When a student dies, private loans are usually treated like other unsecured debts, such as credit card debt. This means the debt is not secured with an asset and the creditor must file a claim against the estate, to hope that there are more than enough assets to pay the higher priority claims, before a share of the remainder is paid to the lender. With a student or new graduate it is unlikely there will be many assets in the estate available to pay debts. To protect against this probability, lenders might require a co-signer on the loan. The co-signer assumes responsibility for payments on the loan when the borrower either won’t or can’t make the payments. What many families fail to realize is this includes the death of the student. Many grieving families are caught unaware. When looking at financing options, carefully review provisions of the loan agreement concerning the obligation after the death of the student. You may be able to negotiate better terms ahead of time. If better terms are not available, co-signers may want to consider a term life policy to cover the debt. Life and Estate Planning is about preparing for the worst. Knowledge is the key to making effective plans. Peace of mind comes from knowing what to expect. What is the Best Way To Protect Your Estate From Disputes?